Some areas of the country are prone to termite infestations, although they are possible just about anywhere. If you live somewhere that this can be common, you need to be proactive to protect your new home, so that these nasty little bugs do not destroy your new investment. To protect your home against termites, you need to ensure that they cannot get to the wood easily. This means you need to eliminate any places where wood contacts with the ground. If you have to, dig your dirt away from the foundation of your home, or cut off the bottom of latticework or other decorative wood to prevent this contact. Termites love moisture and humid conditions, so you need to be wary against moisture. Use dehumidifiers to reduce humidity in crawl spaces, and do not let moisture accumulate near your foundation. This makes your home less inviting to the critters. Termites can come in on any type of wood, so keep firewood and lumber stores away from your home’s foundation. Do not store these in a crawl space either. Dedicate a space in your yard that is a bit away from the home to store these types of wood. Mulch, which is made of wood, can also bring in termites. Use it with caution and do not let it touch the wood in your home. If you live in an area that is at extremely high risk for termite infestations, consider having a professional pest control company treat it. This can deter the critters from coming into the building and prevent an infestation altogether. The modern chemicals used to put a barrier between your home and termites last around five years. The cost will be between $4 and $7.50 per linear foot of your home’s perimeter. You can add more to this cost if you choose a guarantee on the work. Spotting an infestation is the first step in protecting your home from these damaging critters. Subterranean termites, the kind that come into your home from the ground, will leave behind damaged wood with wood tunnels in irregular patterns. You may even find white termites in the wood. However, this can be hard to spot if you do not know you have a problem. Sometimes you can see mud tubes extending from the ground to your wood. These tubes are about the same diameter as a pencil, and offer an entry point to the critters. Drywood termites are a different variety that tend to live in Southern California. They like to feast on dry, un-decayed wood. Signs of these bugs are the salt-and-pepper pellets they leave behind. 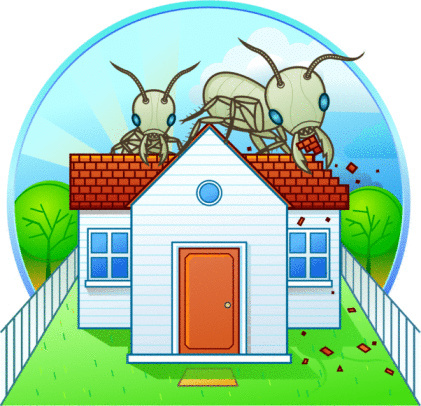 The cost of termite removal will be based on the size of your home. The cost is the same as the cost for prevention, because it is the same process. 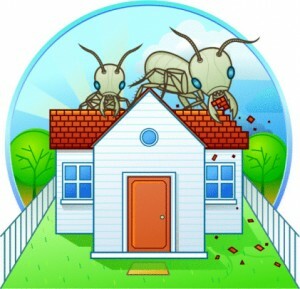 However, you will also add the cost of repairing the damage the termites caused. If the structure is affected, you will have to make these repairs before the home will be livable. It is far better to prevent the termites to begin with using proactive treatment before an infestation occurs.